It all started with Zeitoun, a book by Dave Eggers, that was loaned to me by a friend. 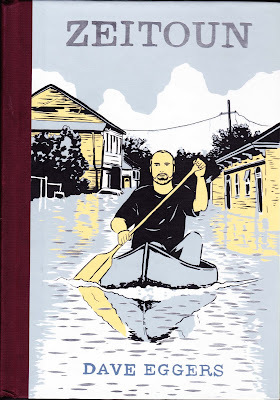 I started reading it just before bedtime on Friday night and rode out a good part of Saturday's snow storm following the non fiction trajectory of Hurricane Katrina and its effects on the Zeitoun family. Then, this morning, while trudging up a snowy hill to check on the chickens, I glanced back at the house and noticed something sticking up out of the snow in front of my garage. It was a package left by UPS. 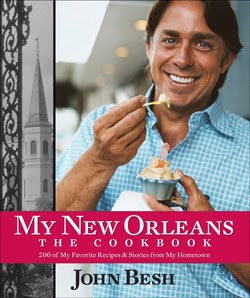 Despite being buried overnight, it contained an undamaged copy of My New Orleans, a coffee-table-worthy cookbook by Louisiana chef John Besh. 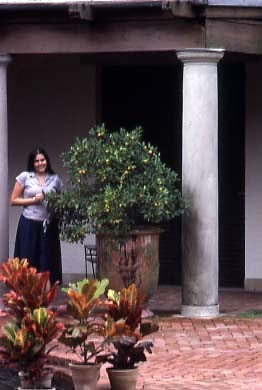 My love affair with New Orleans began when I was in college and was invited down to Mardi Gras by a pen pal. I quickly discovered the city's multifaceted personality and have been traveling back there in real life and in my daydreams ever since. Yes that's me circa 1970s. On my first trip, I watched Mardi Gras parades in the city and horseback revelers going house to house collecting ingredients to make a community-sized pot of gumbo out in Lafayette. I heard Cajun music played live in a gas station and the witnessed the terrifying remnants of a Klan cross burning in one of New Orlean's suburbs. I also fell in love with the food. Hot and spicy, and unlike anything I ate back home in Brooklyn. Since that time, I've returned to NOLA for business and pleasure, concepts that are consistently blurred in this intriguing city. What makes this cookbook special is that the recipes for classic versions of crawfish pie, gumbos and etouffees are set in a framework of the city's culinary history and the reminiscences of the extended Besh family's kitchens. From what I've read so far, it's definitely worth adding to your cookbook collection. Lest you think I'm just frittering away a perfectly good snow day, I'm actually doing "research" for Superdog Sunday. Next weekend is Belgium's birthday. He'll be 12! 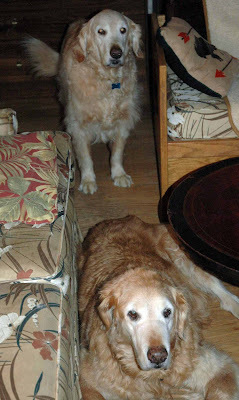 Belg and his brother Ike who lives in New Jersey and his buddy Chase like to celebrate together. So there will be a crowd. This year, the furballs are also sharing their birthday weekend with the Super Bowl's Saints and Colts. I'm planning to cook up some authentic N'Orleans. Sorry Colt's fans, I have no idea what delicacies folks eat in Indianapolis. Besides, what's not to love about Crawfish Etouffee, Grits and Greens. And while Belgium might prefer a burger as the base for his birthday candles, I think nothing could be finer than a home baked Pecan Pie. Hopefully, I'll be able to make it up my driveway in a day or two to go grocery shopping. Meanwhile, there are over 200 southern style recipes to check out. 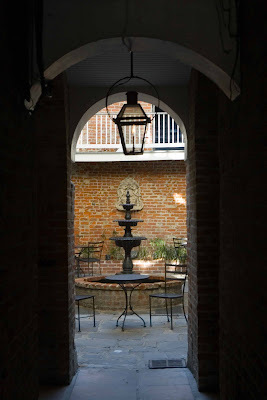 Thanks so much for your post on New Orleans and the awesome cookbook. It's ironic because I chose New Orleans to be my birthday destination. You see, every birthday, my husband and I pick a place to go. I chose New Orleans (never been). Tuesday is the BIG day for me but I believe we'll go in April when I am not so busy. So thank you very much for all of the interesting tidbits and pictures!! 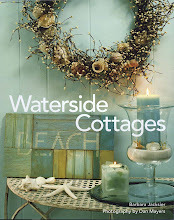 The cookbook is marvelous looking, I could use some good reading and cooking while we endure the snow as well!! Happy Birthday to your beautiful boy! He is very handsome! And thanks for the post - New Orleans is a must visit for me - I've never been, but I have set it as a reward for myself for some personal goals I am trying to achieve. I really would love to see it! 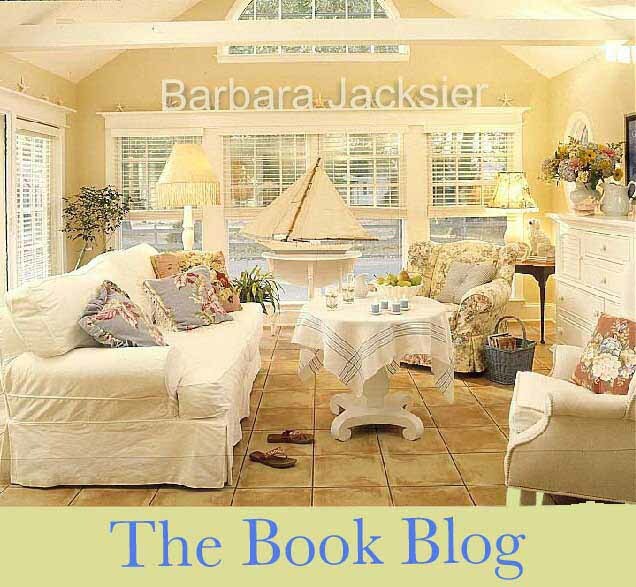 Sounds like a perfect snow day to me Barbara! Happy Superdog Sunday! 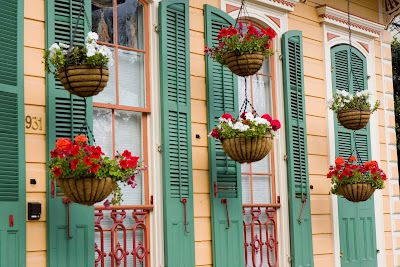 I have never been to New Orleans but it is definitely on my list of places to visit. Never been to New Orleans. Your photos take me there! Haven't heard from you in awhile. Would love to.